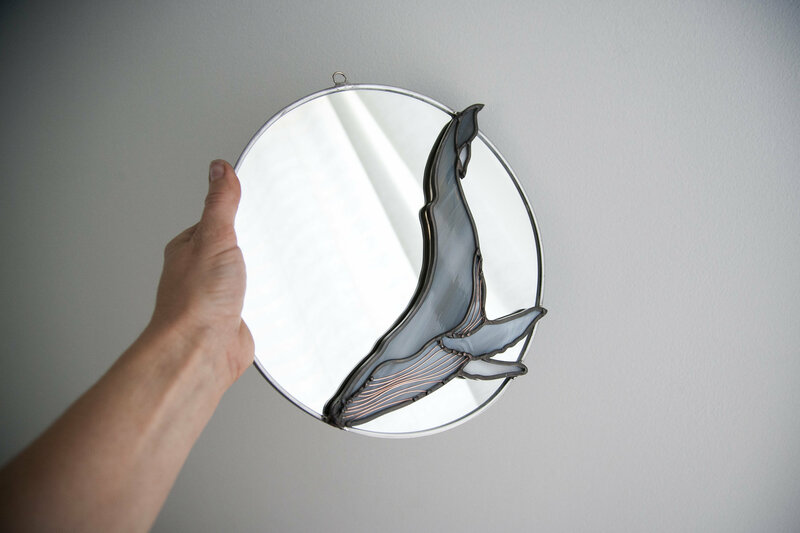 This stained glass wall hanging is handcrafted by the artist from beginning to end. Cut, assembled, soldered, and finished ready to hang. 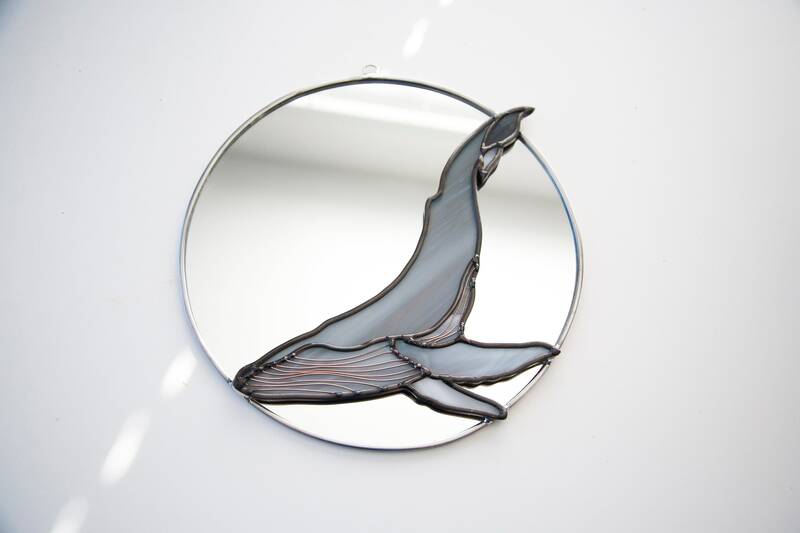 Humpback whale is on top of circle moon mirror to give depth. 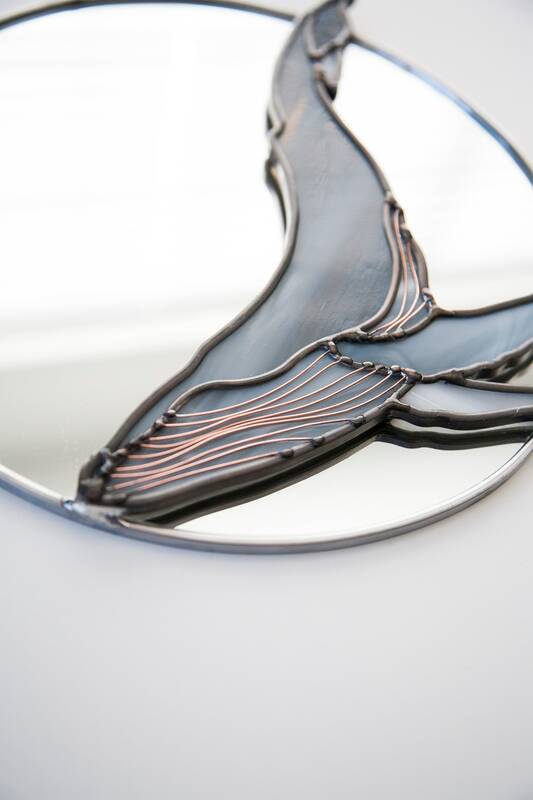 Copper wires create texture for the bottom of the whale. 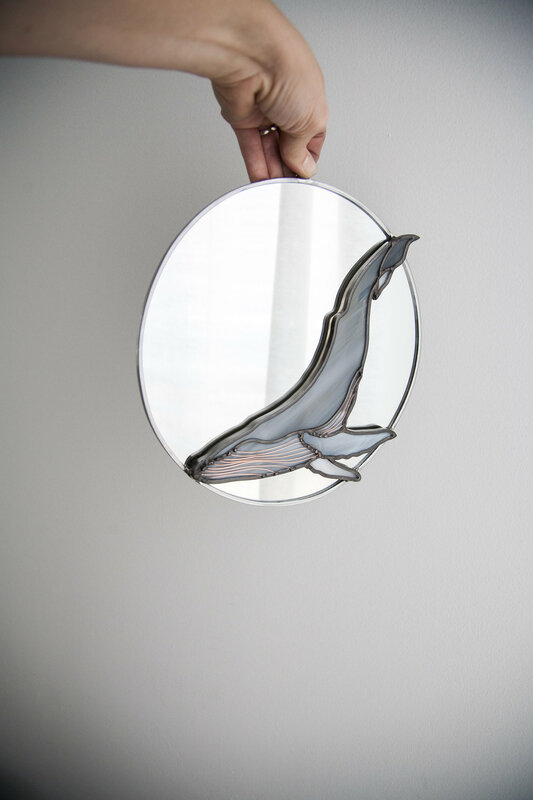 Glass colors: gray & white for whale (glass will naturally vary from original) and circle mirror. 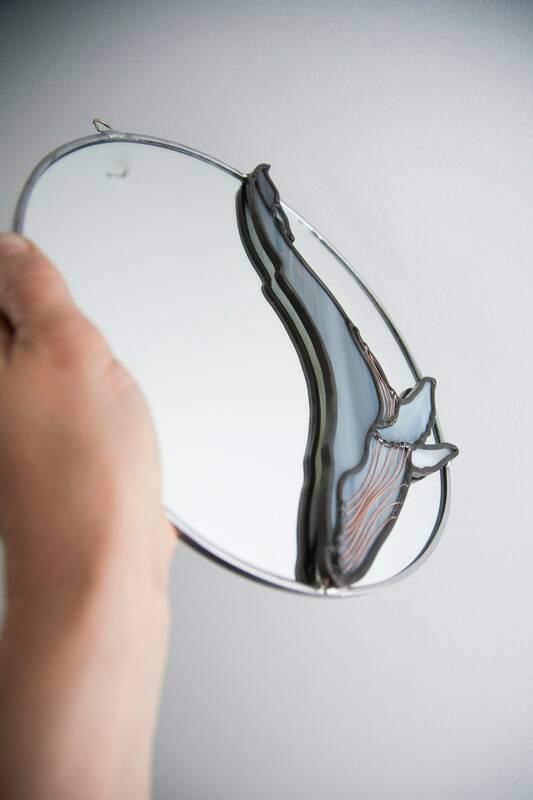 Lead* Border: whale is black patina, mirror moon is original silver finish. Jump ring used for hanging.